At Curtis Green we pride ourselves in offering an individual service to every one of our customers. 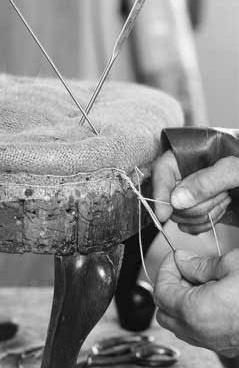 Every chair and sofa built by Curtis Green is constructed from a solid beech frame incorporating traditional upholstery methods and materials, thereby maintaining traditions of classic craftsmanship. To complete the piece there is a choice of leg finish, arm design and cushion filling. For example, legs can be polished, painted or lacquered and cushions can be any combination of feather and down filling. Solid brass castors are normally supplied but, if required, can be given a chrome or antique finish. We particularly enjoy working hand in hand with our clients in designing and building seating and furniture to their specifications.